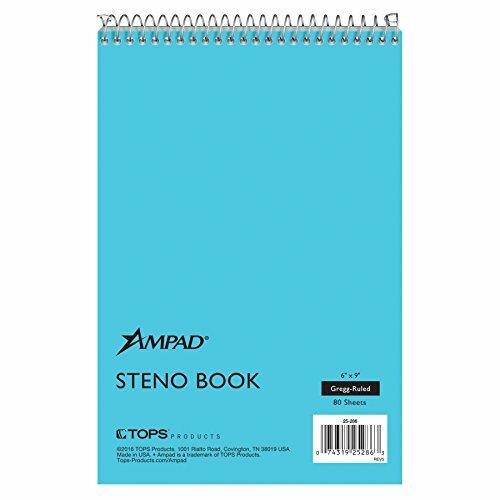 Ampad Steno Books are ideal for everyday use at home, school or office. The classic flip-top format long preferred by stenographers and reporters gives quick access to notes and lists. The 6" x 9" size tucks easily into any backpack or bag. A no-snag coil resists catching on papers or clothing. Perforated sheets detach easily. Proudly made in the USA. Blue paper and cover. Gregg ruled, 80 sheets. 12 Pack.